Again a project from a game jam. 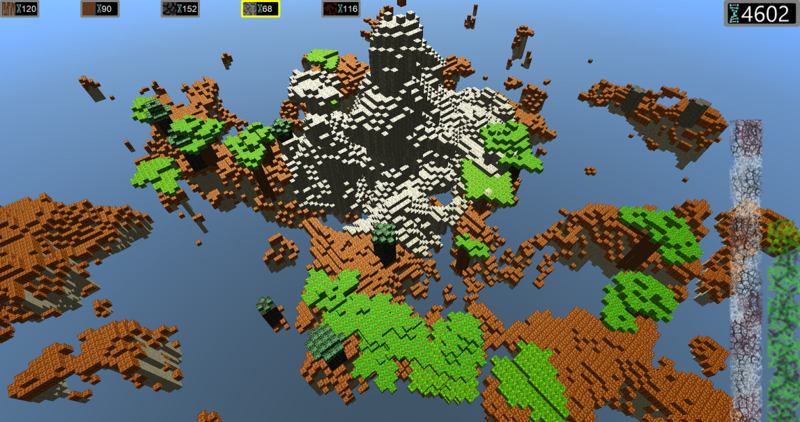 Johannes: "Andreas, lets make something with voxels." Patrick: "3D - Sounds good." The game itself is a complex cellular automaton simulating the growth of plants. The player have to try to plant different trees in such a way that they are not decomposed by parasites. Resistances and growth properties should add a tactical part that the player has to decide what and where to plant. At the end of the Game Jam we achieved a nicely looking interactive simulation. The game play was left behind. 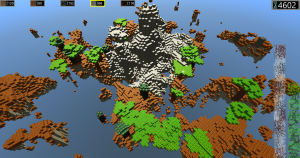 Skynet AI evolves over time or by interacting with the player. Swarm More than 400 actors with a specific behaviour at the same time in a gaming session. In the weeks after the Game Jam I made a game out of the simulation. It is still much to do and the game could be expended and polished in many points. In the Game Jam version playing meant to click fast and hope. Now it is a bit more tactical. First of all space was transformed to a limiting resource. Before it was possible to build trees everywhere - even on top of other trees. Now each tree requires space. The second big change is that you start with a few resources only and get new gens if your plants are growing. If you achieved to grow enough biomass a countdown starts. Then you have to hold at least the biomass threshold for some time. During this countdown you can let your plants mature or seed new ones to get as much resources as possible - these are your starting resources in the next level. Here you can download the game. It should start without additional dependencies. There is a settings.xml in the folder which you might want to change.